Therapeutic massage is a scientifically validated treatment that can alleviate the pain and stress of a variety of conditions. 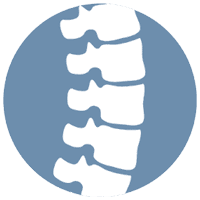 Paul Brock, DC, a board-certified chiropractor, offers therapeutic massage of the soft tissues to support his other treatments, including spinal adjustments. At Brock Chiropractic in Tustin, California, Dr. Brock diagnoses and treats a broad range of muscular, neural, and skeletal conditions. If you need to de-stress or resolve pain or tension through therapeutic massage, call or book an appointment online today. Massage is a hands-on therapy in which a physician manipulates the muscles, tendons, and fascia to improve their health and function. There are nearly 100 different types of massage. The types of touch used in massage include stroking, rubbing, kneading, pressing, stretching, circling, vibrating, and tapping. Some massage therapies are gentle and treat mostly the surface of the skin and muscles. Others are more aggressive, reaching deep into the fascia, muscles, and other tissues. Most massage therapists use their hands to manipulate body tissues. However, some also use their forearms, elbows, and feet. Why is massage therapy beneficial? Therapeutic massage has a long history in wellness traditions throughout the world. Its origins can be traced back 4,000 years to China. However, the benefits of massage have only recently begun to be recognized by Western medicine. Am I a candidate for therapeutic massage? Almost anyone can benefit from therapeutic massage, whether they suffer from ailments or not. Massage increases the health of the body overall by alleviating stress and increasing the circulation of bodily fluids. It’s a pleasant and healing treatment that can become part of your regular self-care routine. If you’re interested in exploring the benefits of therapeutic massage for yourself, whether as therapy or self-care, Dr. Brock is happy to meet with you for a consultation and evaluation. You can even book an appointment online at your convenience.